If you begin the task of educating yourself about the phenomenon known as “Viking metal” you’ll probably first see references to Bathory and perhaps Enslaved, soon followed by a group of famous Swedes with their longboats and drinking horns on stage, but it won’t be long before you see the name Helheim. “Viking metal” is indeed a phenomenon rather than a genre of music, which quickly becomes evident when you consider that bands as diverse as those listed above, as well as other groups such as Unleashed, Manowar, and Moonsorrow, have all carried that label at one time or another. To the extent there is a unifying factor, it derives from a lyrical and thematic focus on ancient Norse culture, mythology, and paganism, rather than a consistent sound — and even there, the depth and focus of the themes can be significantly different. Helheim go beyond the most familiar (and often caricaturish) thematic tropes of most bands branded as Viking metal, with a devotion to Norse heritage that treats it as still relevant to modern life, and still shrouded in mysteries of the Runes that are worth exploring, and perhaps best understood in the spirit they convey rather than through archaeological and linguistic dissection. 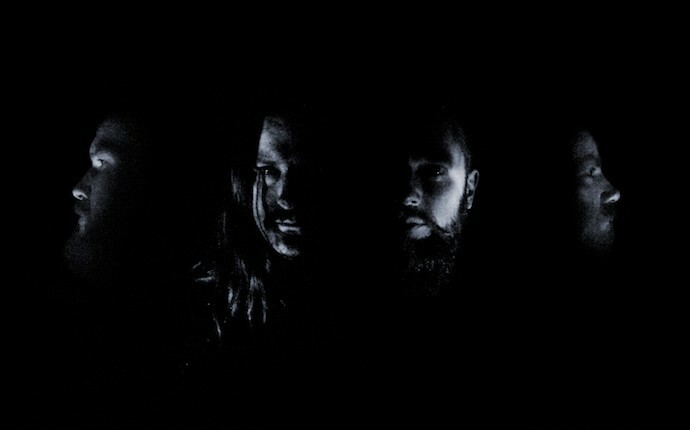 As you’re about to discover, Helheim’s music also goes light years beyond the most familiar tropes of “Viking metal”. 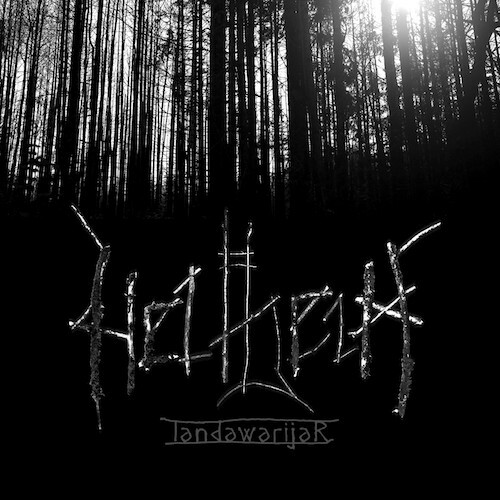 “The videos, ‘Baklengs mot intet’ and ‘Ymr’, give the best illustration of the concept behind the new Helheim project, landawarijaR. Whilst the theme of ‘Ymr’ is about defining yourself through Norse arts and works — making the metaphorical climb of Yggdrasil in other words, the theme of ‘Baklengs mot Intet’ describes the inner battle, the bottomless despair and endless futility experienced by a Walker of the Way. ‘Ymr’, therefore, describes the ascent and the letting go from the top, whilst ‘Baklengs mot intet’ describes the fall and its possible implications. It’s unusual to begin an album with the two songs that might be thought of thematically as bookends for the album as a whole — until you discover that, musically, they really aren’t bookends, despite the contrasts between them. “Ymr” is mysterious and mesmerizing, largely mid-paced and marked by the boom of timpani and the compelling thrum of a big bass line (which is never far away throughout the album), with a mix of clean and flesh-scraping harsh vocals (the array of clean vocals on the album, by the way, is fantastic). As the music slows even further, it turns to discordance and pain, with wisps of beauty in its reverberating guitar notes. The isolated guitar notes and shimmering ambient tones at the outset of “Baklengs mot intet” establish a linkage with the opening track, but it soon becomes a hard-charging gallop, trailing fire and the resounding surge of horns. It’s searingly intense and impressively heroic, slowing only to make space for a memorable clean-sung chorus. The song also includes the first of many dazzling guitar solos on the album. It’s a glorious anthem that puts a tingle down the spine. But as attention-grabbing and different as these two opening tracks are, even greater wonders lie ahead, and those early songs only hint at the extent of the marvels that are still to come — which is why they really aren’t bookends. If it were possible to draw some line between them, the other songs are off that continuum. In fact, it I don’t think it’s an overstatement to say that whatever preconceptions you may have of “Viking metal”, even preconceptions you may have formed based on familiarity with Helheim’s own previous works, you should set them aside. The core of the sound is even less easy to identify than before. It hasn’t been unalloyed black metal for a while, and now is genuinely progressive, closely rivaling the late-career directions of Enslaved in its artistic ambitions and originality. It’s sublimely artistic music, in the best (and least pretentious) sense, full of mystery, change, and emotional power. As you make your way through the album, and really through any individual song, you experience gradations of light and shade, sensations of pain and rage, moods of somber self-reflection and strident yearning, music that puts a chill on the skin and lights a fire in the heart. There’s no pandering or cheese on this menu. Yes, there are some life-or-death war charges and folk melodies here and there in the album, but they’re exceeded by a rich and intricate array of other styles and sounds — including hints of post-metal, dark post-punk, psychedelia, and depressive as well as epic black metal, all delivered with a strong progressive flair. I thought of Houses of the Holy-era Zeppelin and early Pink Floyd more often than I did Bathory. I would be very hard-pressed to name a favorite song. I lean toward “Rista blodør”, but really the entire trip from there through to the album’s end is a kaleidoscopic marvel, one wondrous creation after another. I’ll have to live with them for much longer to find the most appealing mate. I mentioned earlier that my sense of Helheim’s devotion to Norse heritage is more a matter of living spirit than a museum curator’s fascination with things long dead and frozen in time. They haven’t tried to capture some archaic and trite sense of myth in the aura of their music. The music itself touches ancient stones, but it’s also very modern. It’s as good a representation as I can imagine of the idea that old traditions can be relevant in the current age, that they can still breathe as you or I do. The new year is very young, but I already have no doubt it will remain a vibrant and much-admired creation that won’t be displaced no matter what else the year brings. It’s inspirational and transformative, the most far-reaching and ambitious of Helheim’s albums yet, and their supreme achievement so far. In fact, one wonders what heights they could possibly scale next. landawarijaR was recorded at the Conclave and Earshot Studios in Bergen, and produced by Bjornar E. Nilsen (VULTURE INDUSTRIES, BLACK HOLE GENERATOR) and mastered by Herbrand Larsen (ENSLAVED). It includes guest vocals by William Hut, Morten Egeland, Pehr Skjoldhammer (ALFAHANNE), Bjornar E Nilsen (VULTURE INDUSTRIES, BLACK HOLE GENERATOR) and Ottorpedo. If you just played this to me without any further explanation, it would never occur to me to call this viking metal, the occasional horns notwithstanding. The vibes I’m getting are much closer to Primordial or Havukruunu than Amon Amarth. Boring genre questions aside, this record is an early favorite of 2017 for me and I’m looking forward to spending much more time with it. And whoa, new logo! What’s next, a new background theme? The year is off to a rousing start! Yes, one of our generous readers did that without being asked. Might see what it looks like without the skulls behind it, too. That logo is swell. Put on your 3D glasses! I’ve heard this album about three times today. At first, the Ymr track sounded a bit far out, but it didn’t take too long to be sucked into their quirky landscape. As Islander writes and brklyner agree to, there’s not a lot of viking aesthetics to be traced in Helheims expression any more. Off the top of my head, I’d say those influences have been watered down a lot since the millennium, creating space for more idiosyncrasy. “Baklengs mot intet” sounds like a contender for Most Infectious… 2017.